Parvati Heights is a residential and commercial development of Hasti Buildcon. Located in Shilphata, Mumbai, it is built across a wide area. These luxurious Studio Apartments, 1BHK, 2 BHK, Commercial Shops and Office spaces units make it a dream home to everyone. These apartments are beautifully crafted with modern amenities and are approved by Maharashtra RERA. What is the location of Parvati Heights?The location of the project is Shilphata, Mumbai Navi. What apartment sizes are available in Parvati Heights? The project offers apartments sized between 341.0 sqft and 18815.0 sqft. 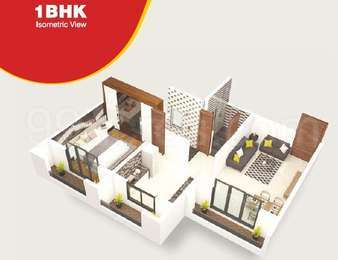 What is total area of 1 bhk in Parvati Heights? 1 BHK unit in the project are available in an area of 341.0 sqft to 6607.0 sqft. What is the area of 2 bhk in Parvati Heights? 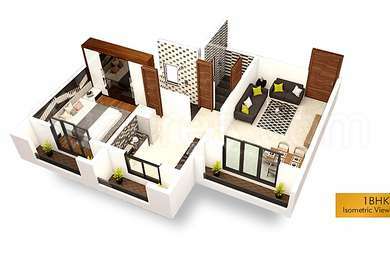 The size of a 2BHK unit in the project ranges from 436.0 sqft to 18815.0 sqft. What is the area of Parvati Heights?The total area that the project occupies is 0.78 Acres. What is the 1 bedroom price in Parvati Heights? 1 BHK units in the project are priced at Rs. 3299857 to Rs. 3386950.